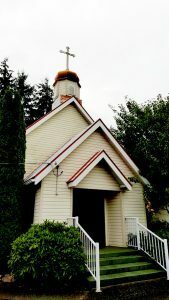 St Michael the Archangel is a Catholic church in Nanaimo, British Columbia, Canada. We’re a friendly parish, and we invite you to visit us. Our page for visitors links to maps and directions, and explains what you can expect when you come to worship with us. St Michael the Archangel is a parish of the Ukrainian-Greek Catholic Church, in the Eparchy of New Westminster. We celebrate the Byzantine Rite, and are in full communion with the Bishop of Rome, the Pope. Divine Liturgy is celebrated at 11 AM on Saturdays, at 4017 Victoria Avenue, Nanaimo, BC.